A few weeks after the culmination of the UK leg of the Queen + Paul Rodgers tour, we caught up with Brian May to relive a warm memory or two about the band’s career-breaking album, A Night At The Opera. From a band member’s point of view, how were Queen doing in 1975? Business-wise, we were in crisis. We’d had a lot of success but we were in a management situation that seemed to have no light at the end of the tunnel. We weren’t getting any of our royalties and although money isn’t everything, it’s not good to feel you’re in what you perceive to be a slave-labour situation. So A Night At The Opera really was make or break in that sense. John Reid, who’d just taken over our management, said that he’d take over the business side and that we should go away and make the best album we’ve ever made! But there was that feeling that if it didn’t succeed we’d always be in the red, so we were fortunate that we did make the album of our lives… and I think it is, really. A Night At The Opera was definitely a very bold and adventurous album. It was certainly quite a leap. I don’t think we realised at the time, though; it was all a natural progression. Stylistically I think it’s closer to Queen II than Sheer Heart Attack as we deliberately made the latter album compressed and very slick, while A Night At The Opera was really going back to: ‘This is our canvas, we will paint on it at our leisure’. Which was the philosophy behind Queen II. You used many different studios during the recording process. Why? It was really needs must. We had so much complexity to finish off and time was marching on. A lot of it was done separately. All those little pieces of guitars playing trumpets, clarinets and trombones on Good Company, I just had to just do it. Freddie would be off doing his multi-tracked harmonies by himself and on this album for the first time there was a whole period when we each went off and developed our own little areas. We were doing things that really hadn’t been done before, so there was a degree of experimentation. Not everything you played got on to the tape; you had to use a selective process. Tell us about Bohemian Rhapsody. Did you perceive it becoming as huge a song as it developed into? There was always a big discussion about what would be the first single to an album. It’s such a crucial decision. Whether it’s a hit or not affects the whole perception and sales of the album as well as the fortunes of the group that made it for the next couple of years. I think we always knew that Bohemian Rhapsody was, in a sense, a long shot: it would either get received extremely well or be dismissed immediately as being too complex and too long. Kenny [Everett] picked up on it, as did a few of our staff, and it just became a favourite that seemed to work. Do you actually still like the album? 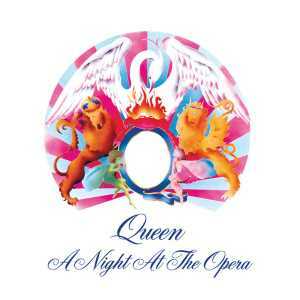 I like all the Queen albums but A Night At The Opera has a certain glittering quality. Not perfection as such but… something. This interview originally appeared in Classic Rock 88.